98% of patient treatment is done directly by Dr. Aubin, hence treatment finishes sooner and with a doctor’s level of quality! There are very few orthodontists that can live up to this statement! Orthodontists spend 11 to 12 yrs in college to practice orthodontics. Assistants spend 1 yr in college to assist general dentists. Which would you prefer working on you? Exceptional patient care in a friendly, comfortable and energetic environment! Advanced treatments & technologies used to improve your smile easily & comfortably! 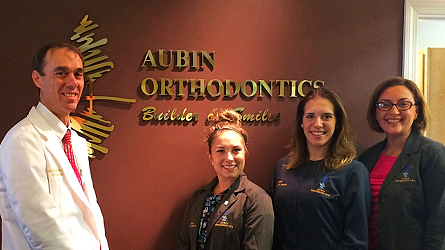 Welcome to Aubin Orthodontics – Builder of Smiles! 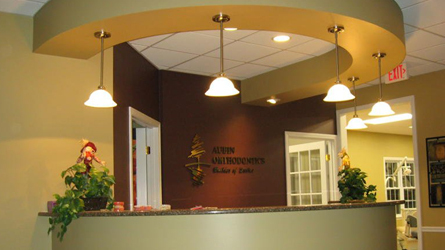 Aubin Orthodontics has been recognized as one of the top Northborough Dentistry practices. Proudly Serving Northborough, Shrewsbury, Marlborough, Westborough, Southborough, Worcester and surrounding areas of Massachusetts, Dr. Phillip B. Aubin is your orthodontic specialist. Offering Invisalign®, Invisalign Teen™, comprehensive orthodontics (braces for children, teens, and adults), TMJ (Temporal Mandibular Joint) Therapy, and Sleep Apnea Orthotic Treatments. 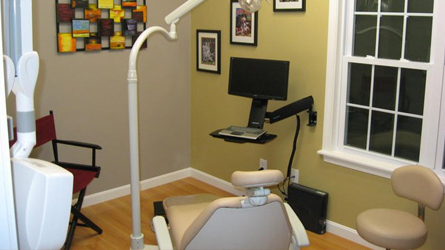 We have the tools and the technology to improve your smile easily and comfortably. You’ll be amazed at what we can do. And because we believe successful orthodontic cases start with personal attention from our team, you can trust Dr. Aubin to help you look and feel your best! Dr. Aubin has dedicated his professional career to providing you with the best that orthodontics has to offer. He is continually educating himself and his staff on the newest orthodontic techniques and approaches in order to provide you with state-of-the-art, comfortable and personalized care. “We recently relocated to MA from OH. Our search for an Orthodontist was not an easily traveled road. We were looking for an Orthodontist that would continue orthodontic care for my daughter who had braces implemented in OH. We had several orthodontists say that wanted to charge us full price for continued care and another that wanted to remove the braces, do surgery and start orthodontic care all over again. Just when we were at our wits end…Dr. Aubin’s office came to our rescue. From the initial phone call made to the office where the staff’s greeting was so overly friendly and caring to the relieving consultation…I can only say, Dr. Aubin was definitely a blessing sent to us. We travel over 1 hour for orthodontic care with Dr. Aubin, but it is worth every minute. 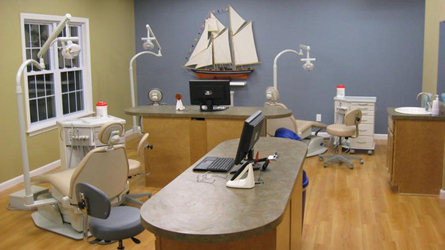 We have never been disappointed with the care or friendliness of the staff and Dr. Aubin. Dr. Aubin & Staff are very accommodating, friendly and caring.” – Janet J. 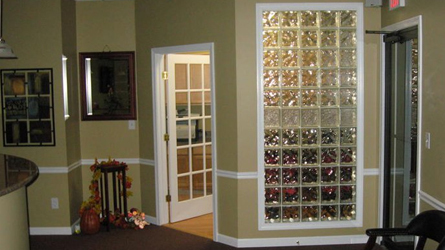 “I’ve always felt as a priority when we came in, no matter how busy the office was!” – Carmen A. “A wonderful outcome, especially given my sons special needs. Lots of TLC.” – Nancy H.
“The time went by very fast! When I was a kid no one I knew had their braces on for such a short time.” – Robert B..
“We are incredible happy with the service. They are truly excellent!” – Janice G.
“Dr. Aubin is a great orthodontist. His work has given me a level of confidence that I really lacked before I walked into his office. THANK YOU!” – Bruce C.